Also on the Caloosahatchee, just upstream of the S-79. 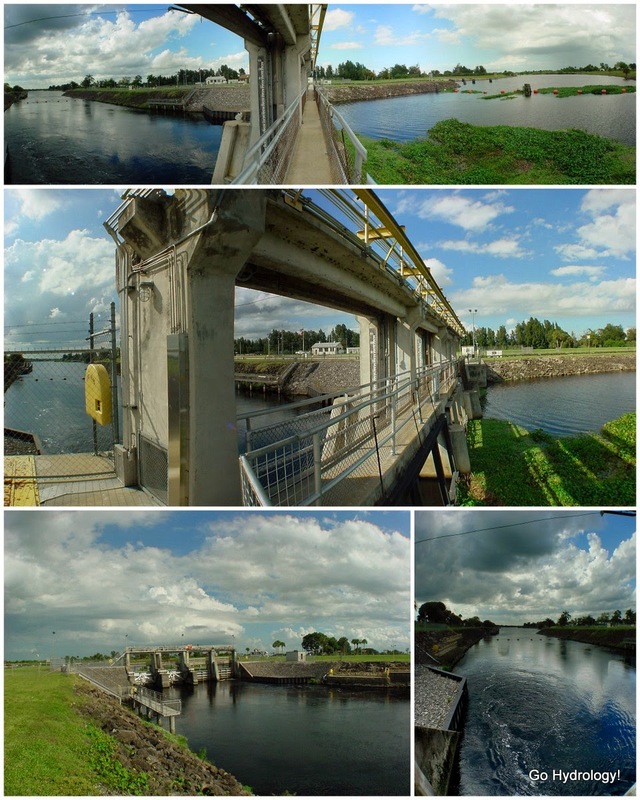 From top to bottom: TOP - Panorama taken while standing on structure looking downstream (left) and upstream (right). MIDDLE - View of structure looking downstream. LEFT - View of structure from downstream side looking east (upstream). RIGHT - Looking downstream (west) while standing on structure. 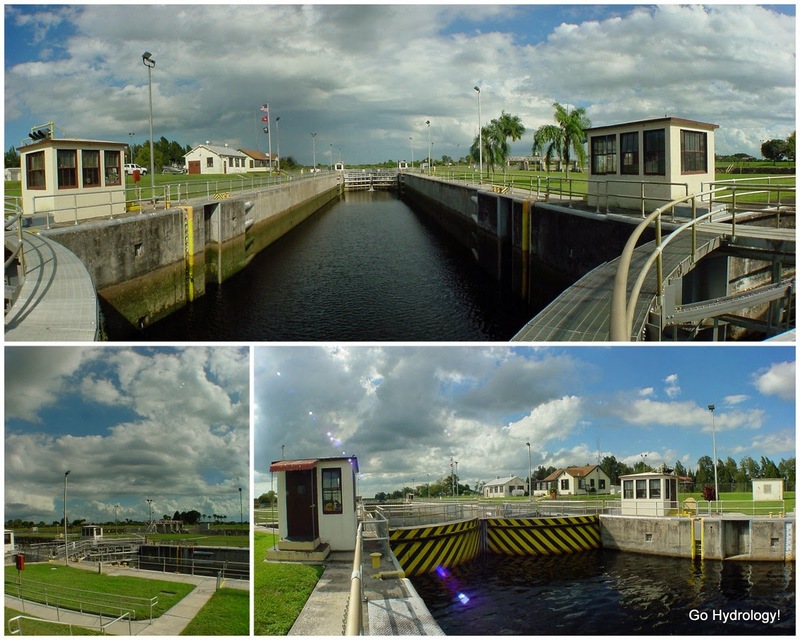 From top to bottom: TOP - View of lock taken from downstream (west) end looking upstream (east). LEFT - View of lock in foreground and dam/spillway in background. RIGHT - View of upstream (and outside) side of lock looking east (downstream).